There is something super relaxing about making dishes in the morning in your bathrobe. I highly suggest espresso and loud music to compliment. Last Saturday I prepped almost the entire meal at 8 o’clock in the morning. It left my Saturday open to so anything I wanted – and be ready for a crowd for dinner. These spicy sesame noodles were perfect for advance preparation. I recommend making them in advance to allow the flavors to fill in. And, take them out of the fridge before serving. They are better at room temperature. 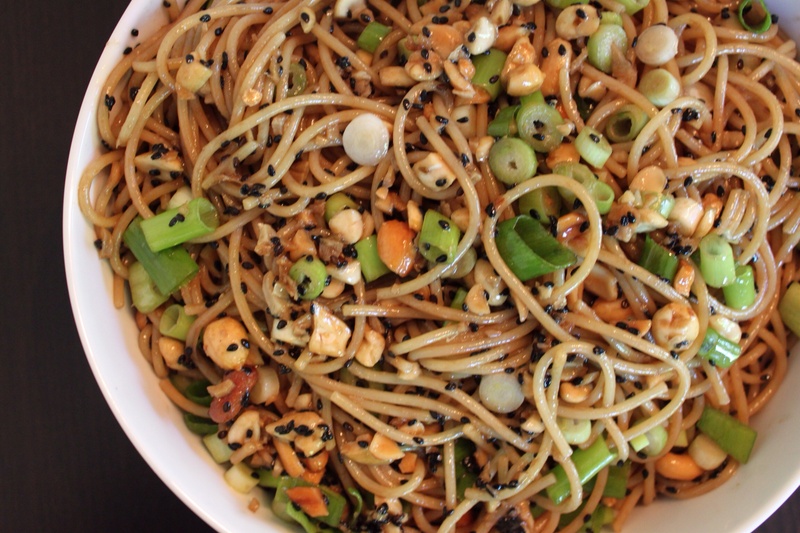 These noodles would also be perfect for a picnic! 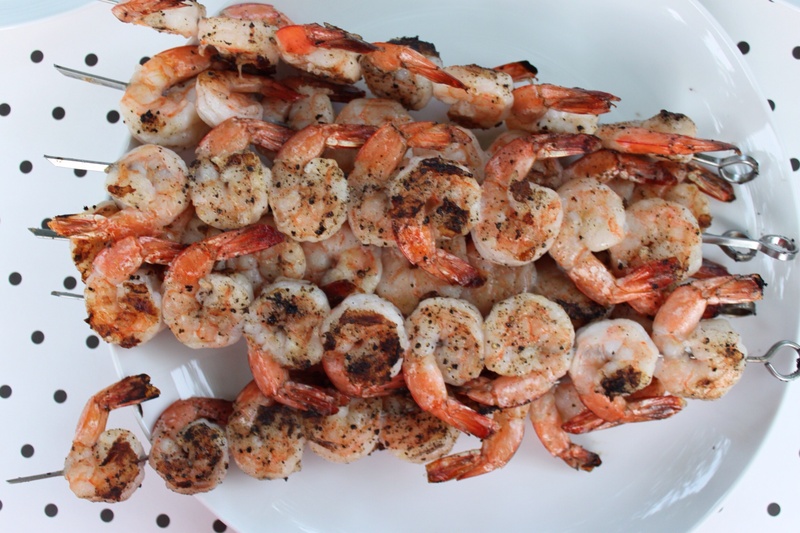 And, grilled shrimp cook in no time with a friend and a glass of rose. Cheers! Sautee ginger and garlic in peanut oil until toasted and fragrant. Remove from heat and combine with sesame oil, soy, balsamic, sugar, hot chili oil and salt. Boil pasta, drain and toss immediately into sauce. Do this in advance and allow to soak up all the flavors. Before serving, add green onions, peanuts and thai basil. Season shrimp with a drizzle of sesame oil, salt and pepper. Cook until perfectly pink.